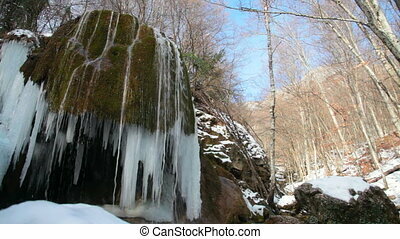 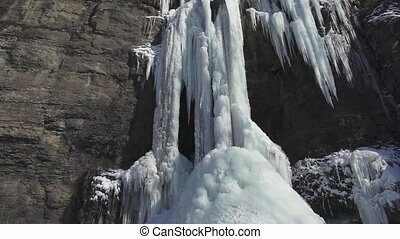 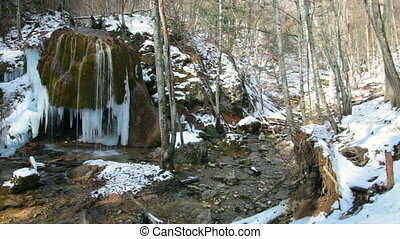 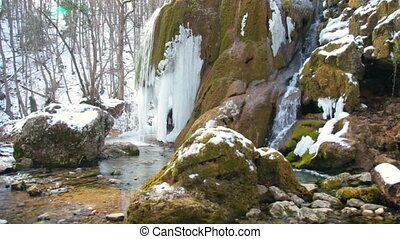 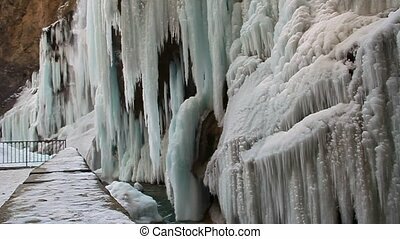 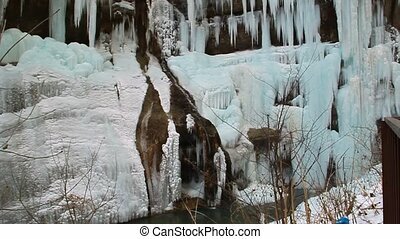 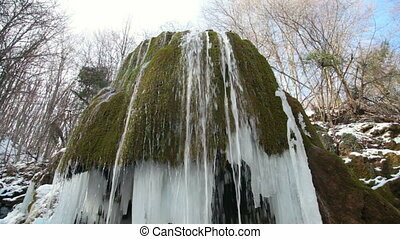 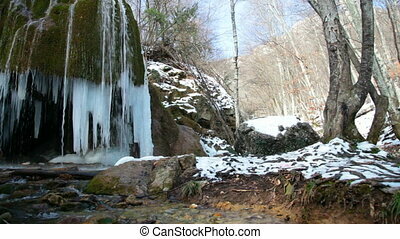 Waterfall in winter. 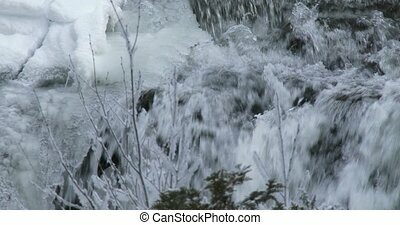 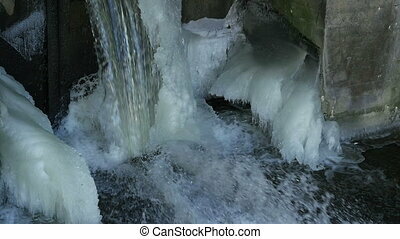 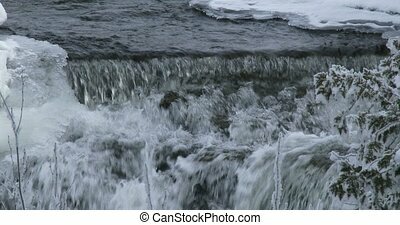 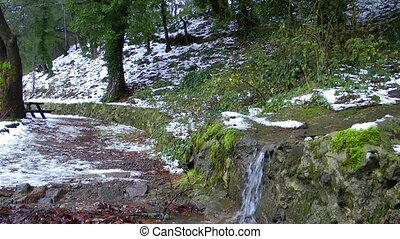 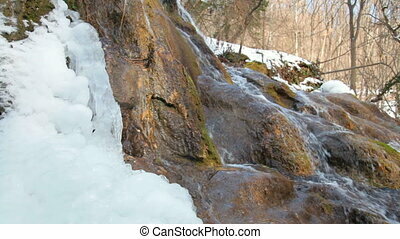 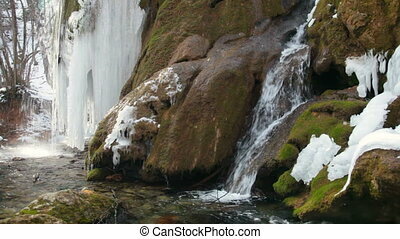 Waterfall silver stream in winter. 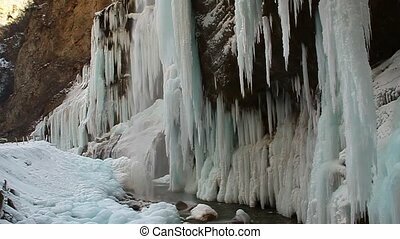 grand canyon, crimea, ukraine. 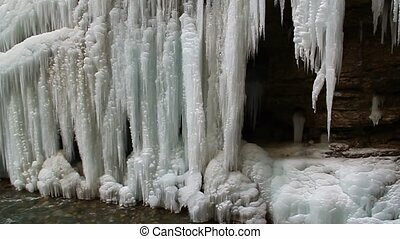 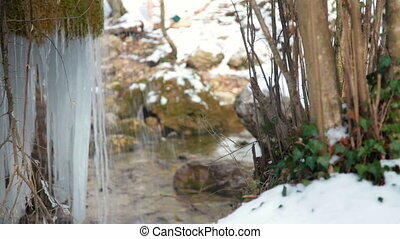 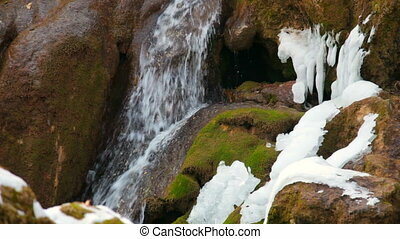 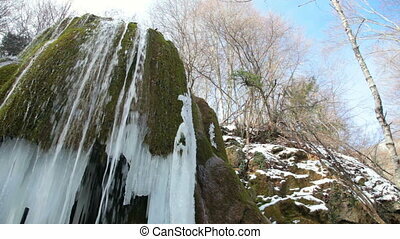 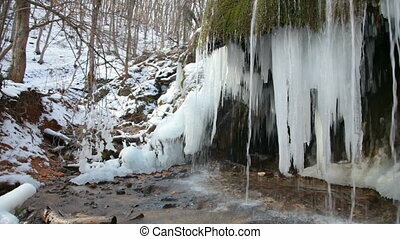 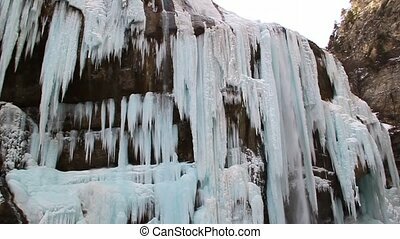 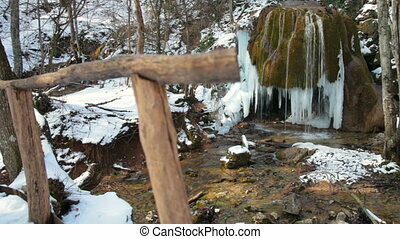 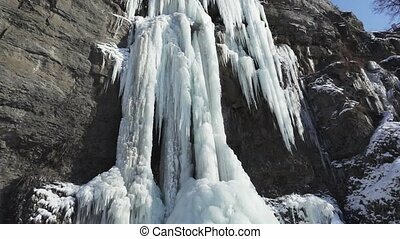 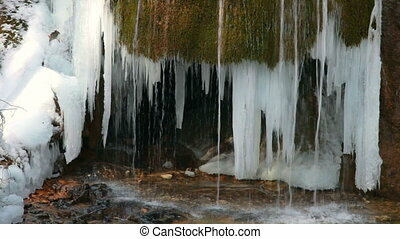 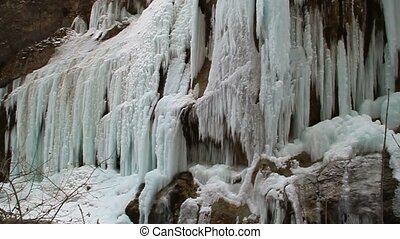 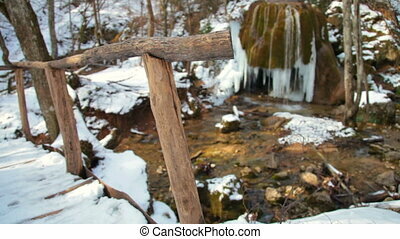 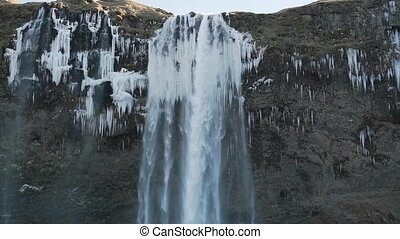 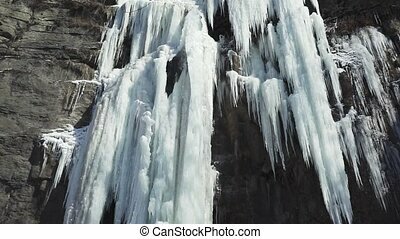 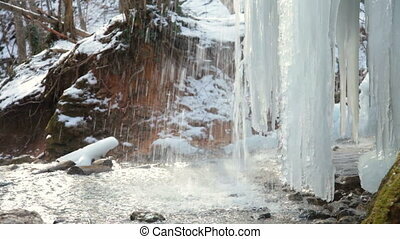 Waterfall in winter close up.